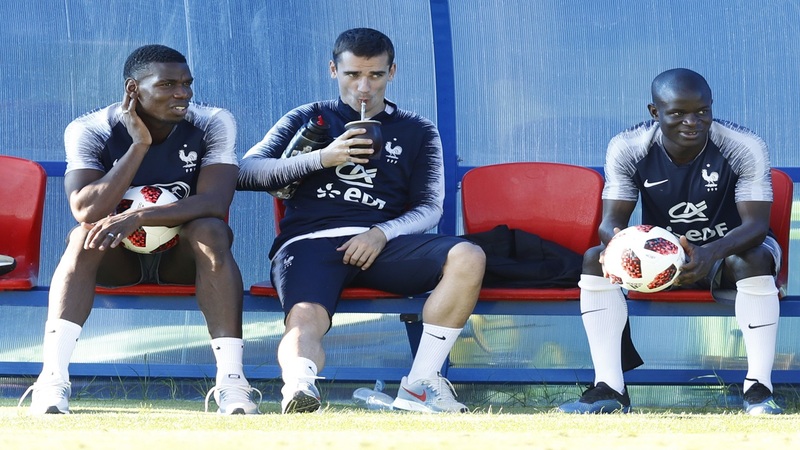 France's Paul Pogba, Antoine Griezmann and Ngolo Kante seat on the bench on during a training session at the 2018 football World Cup in Glebovets, Russia, Thursday, July 12, 2018. (AP Photo/David Vincent). 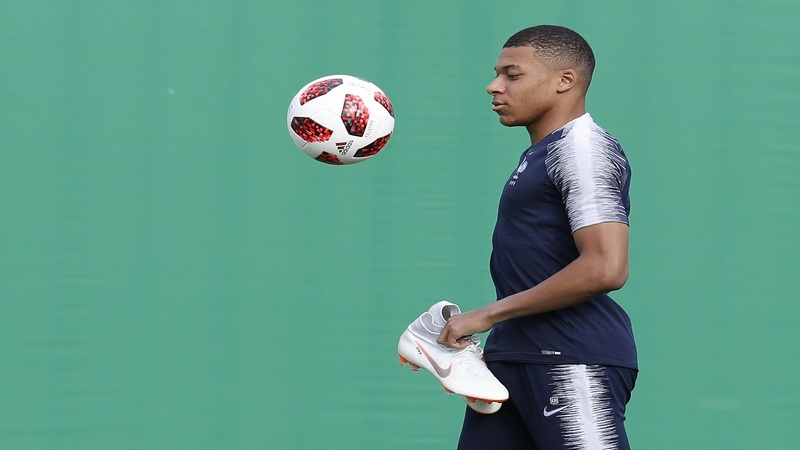 With a squad valued at over $1 billion dollars that includes teenager Kylian Mbappe, a coach who won the World Cup as a player in 1998 and a day more than Croatia to rest and prepare for the final, France should win soccer's most coveted trophy for the second time. After a labored opening 2-1 win over Australia, France coach Didier Deschamps changed to a more resilient, somewhat lopsided formation with Mbappe given freedom to roam and run at defenders from the right flank. Midfielder Blaise Matuidi was restored to the starting lineup to patrol the left, teaming with N'Golo Kante in protecting the defense. Up front, striker Olivier Giroud uses his height and strength to harass defenders and win high balls. Behind him, forward Antoine Griezmann plays a more freewheeling attacking role, often running from deep. 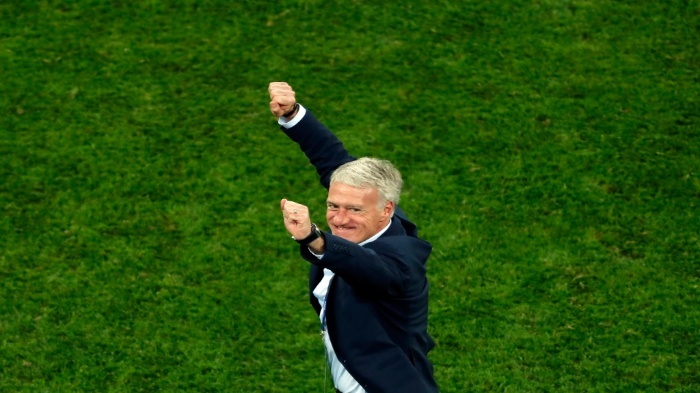 France head coach Didier Deschamps celebrates at the end of the semifinal match against Belgium at the 2018 football World Cup in the St Petersburg Stadium in St Petersburg, Russia, Tuesday, July 10, 2018. With goalkeeper Hugo Lloris in excellent form behind the fast, astute central-defensive pairing of Raphael Varane and Samuel Umtiti, France is not only hard to score against but also packed with speed and flair to strike at goal with defense-shredding attacks. It should all add up to Lloris lifting the gold trophy on Sunday at the Luzhniki Stadium in Moscow. BITTER EXPERIENCE: Losing 1-0 to Portugal in the final of the European Championship on home soil two years ago was agonizing for Les Bleus and made them even more motivated to win now. France had one day less than Portugal to recover from its semifinal victory in 2016. This time, France should be fresher than Croatia, having four full days to reset for the final after beating Belgium 1-0. 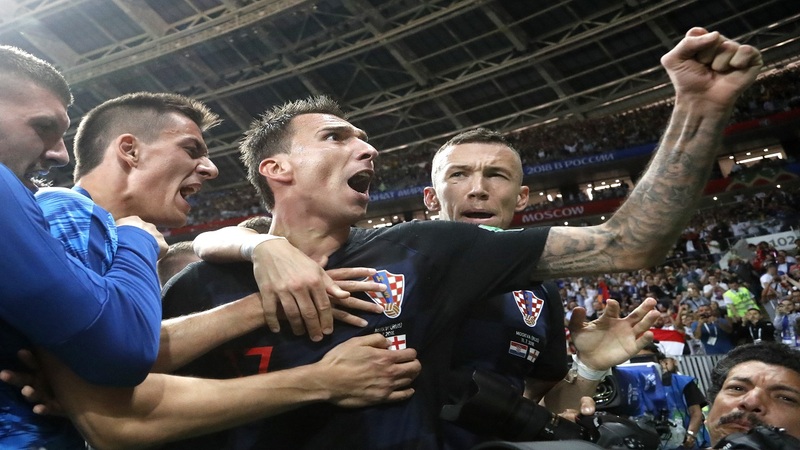 Croatia got three full days after its 2-1 extra-time win over England. "I know the taste of defeat in a final and it's not good at all," said France midfielder Paul Pogba, among seven players from the 2016 loss who should start against Croatia. "Very bitter." MBAPPE'S SKILLS: Nicknamed "37" by teammates after a sprint supposedly clocked at 37 kph (23 mph) against Argentina, Mbappe burns past defenders with such ease that he can change a match on his own. Expect France to unleash him early, as it did with its first touches of the ball against Belgium and Uruguay. Croatia defenders will be forced from the whistle into keeping close tabs on the 19-year-old forward, whose performances in Russia have been likened to Pele. Without a goal since scoring twice against Argentina, Mbappe had several occasions against Belgium where he opted to pass instead of going for it himself, only to see his efforts squandered. Given his ambition and self-confidence, Mbappe may take matters into his own hands against Croatia. Like Zinedine Zidane, who scored twice in the 1998 final against Brazil wearing the No. 10 jersey now on Mbappe's shoulders, the kid wants to make history. "He already knows where he wants to go and how. That impresses me. What he's doing is crazy, a World Cup at that age and scoring so many goals," Umtiti said. "He's going to do us a lot of good for a long, long time." 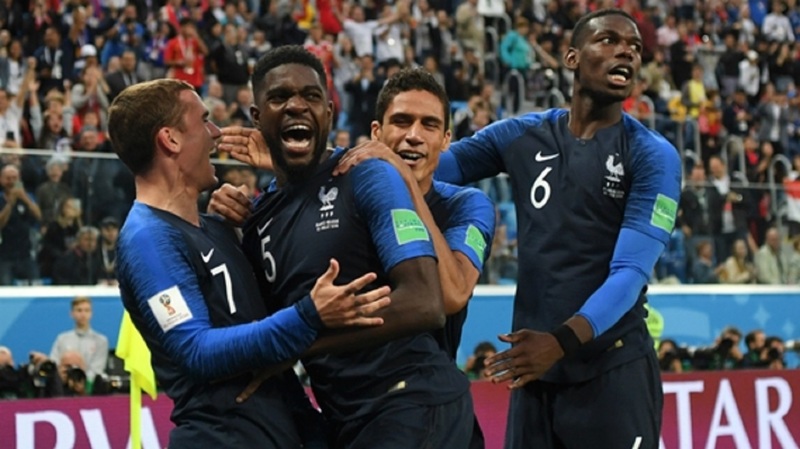 DOGGED DEFENSE: Umtiti, 24, and Varane, 25, only started six games together for France before the World Cup, but they now look like a well-oiled central defense pairing that could carry France for years. With big-game experience as a Champions League winner with Real Madrid, Varane has increasingly become a team leader. Both are strong in the air, with Varane scoring a header against Uruguay and Umtiti heading in the winner against Belgium. Varane, one of France's tallest players at 1.91 meters (6-foot-2 1/2), uses his speed to close down spaces. Umtiti anticipates where attackers and the ball will go and gets there before them. Only Argentina breached France's defense in open play. Australia, the only other team to score against Les Bleus, did so with a penalty. Lloris' saves denied Belgium and Uruguay. YES, HE KANTE: Kante, France's smallest player at 1.68 meters (5-foot-6), runs, runs and runs. An absolute pest for opponents, he pops up everywhere, breaking up attacks and getting France moving forward again. Although his teammates playfully tease him for being painfully shy, they say having Kante is like playing with an extra man. Getting at France's goal means getting past Kante first and — as Lionel Messi, Kevin de Bruyne and others discovered — that is tough. DESCHAMPS: A natural born leader who captained teams before coaching them, the 49-year-old Deschamps has France pulling in the same direction.